The built in 64GB storage enables you to store many of your favourite albums on board, with the ability to add an external 512GB sd card if required. 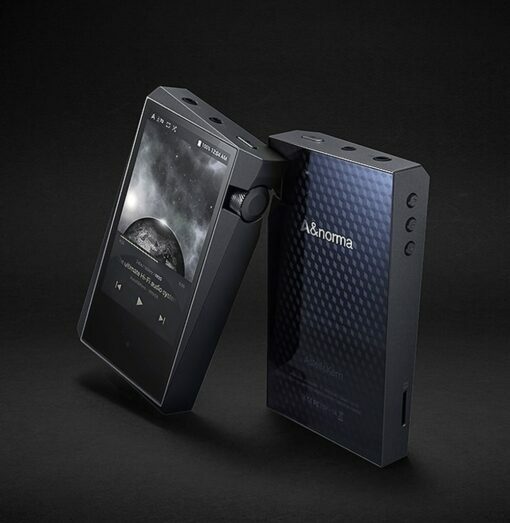 The simplicity of the user interface means that you can access your music and begin listening to it within seconds, thanks in part to its powerful quad core CPU. We have chosen to introduce the SR15 to our portfolio due to it featuring the OpenAPK firmware upgrade. This means that If you find that the storage isn’t quite big enough, then you can access millions of songs on TIDAL and store them offline for when flying etc. This is a subscription service, however it enables you to access all of the latest albums releases along with a curated song list. If you don’t have TIDAL then you can alternatively install music services such as Spotify, which although doesn’t quite offer the same audio quality as TIDAL, manages to provide an extensive database of music to listen to. 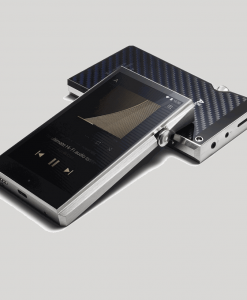 The design of the SR15 is somewhat of a talking point with its slanted screen, however, when holding the unit in your hand it means you don’t have to bend your wrist in order for the screen to be straight. 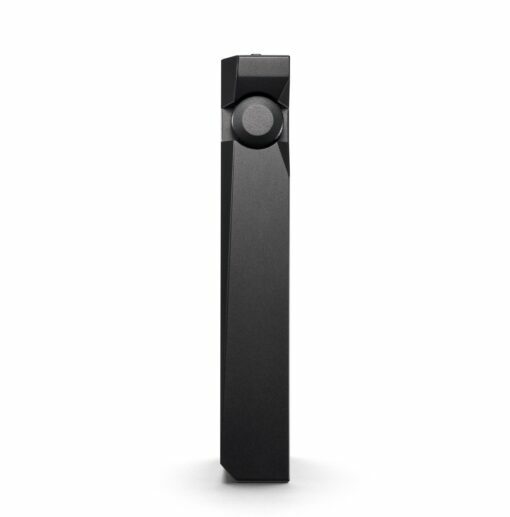 It is a design that takes a while to get used to but feels natural after using it for any prolonged period of time. 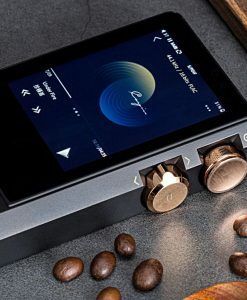 As with many of the other Astell&Kern range of music players, the SR15 has no shortage connections. The SR15 comes sporting a standard unbalanced 3.5mm socket alongside a balanced output on a 2.5mm socket. 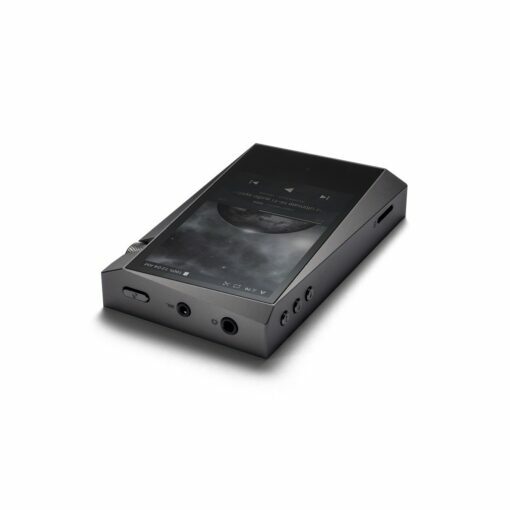 The USB output at the base of the unit enables the device to pair up to an external DAC such as a Chord MoJo or a bigger unit such as the Hugo2, Hugo TT2 or even DAVE. (Other DACs are available 🙂 ). For wireless connectivity the SR15 has WiFi and features AptX HD for your wireless headphones. 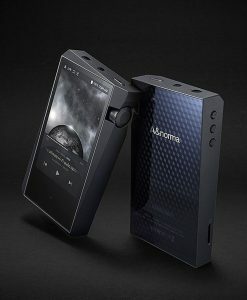 You can be sure to get from London to New York with the SR15 with its 3000+ mAh battery on board offering circa 10 hours of music playback, depending on the quality of the music that you are playing through it. 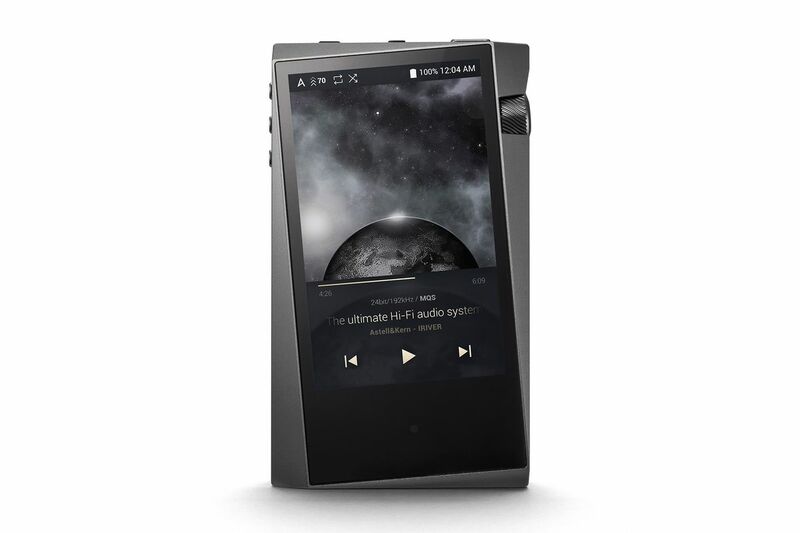 All in, the SR15 is one of our best value players and provides you with an incredible entry into the dedicated music player market. 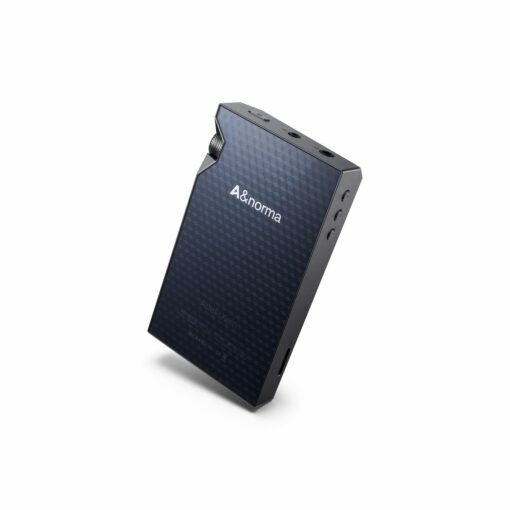 The massive storage, streaming and array of connectivity options makes it a sensible purchase for anyone wanting to step away from their iPhone or Smartphone and save it’s battery.